Singapore Airlines committed to buy nine more double-decker A380 aircraft from European aircraft maker Airbus, while Australia's national carrier Qantas confirmed an order despite delays in delivery. The SIA agreement signed Wednesday confirmed an order announced in July and includes an option for six more of the superjumbos. "Singapore Airlines today signed agreements with Airbus for purchase of a further nine A380s, with six more options," the airline said in a statement. It also signed a deal to lease 19 A330-300 widebody jets from Airbus. Confirmation of the A380 deal follows an initial order of 10 superjumbos made in 2001, and commits SIA to buy a total of 19 of the giant passenger liners. Qantas, which announced last week it had accepted a controversial 8.7-billion US dollar takeover bid from a private equity consortium, on Thursday confirmed a 2.36 US billion dollar order for eight more Airbus A380 jets. The airline also confirmed orders for four Airbus A330s to tide it over until the delivery of its first A380 in August 2008. The eight firm A380 orders, which Qantas first announced in October, bring to 20 the number placed by Qantas with the European aircraft consortium which has now received 166 orders for the world's largest passenger planes. 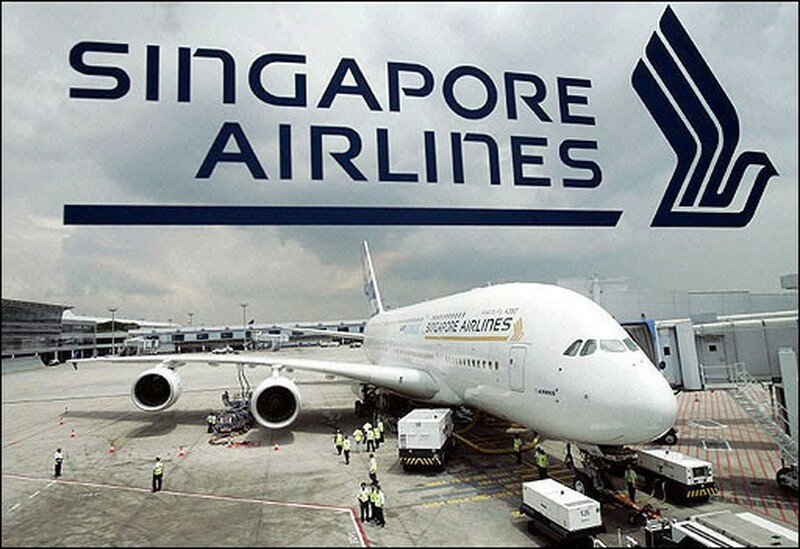 Singapore Airlines (SIA) is set to be the first carrier to get the A380 in October 2007 after a series of delays blamed on wiring problems pushed back delivery from earlier this year. Qantas chief executive Geoff Dixon played down Qantas's disappointment at the delays as he signed the formal order for the new planes at a ceremony in Sydney with his Airbus counterpart Louis Gallois. "Obviously there was some frustration about it but as in most airlines you deal with issues as they arise," Dixon said after signing the agreement to buy the jets which have a list price of around 295 million dollars. "We've moved capacity, made other arrangements and we've coped quite well," he said. Gallois confirmed that deliveries of the first A380s, which can seat between 555 and 840 passengers, to Qantas will start in August 2008. Dixon said the A380, which Qantas will first use on its lucrative Australia-Los Angeles routes, was an "incredibly attractive" aircraft and that its size would not scare passengers. "In fact we think it's the exact opposite. What we expect is there to be a passenger preference for this type of aircraft with its space and facilities." Qantas chairman Margaret Jackson said the introduction of the A380 could even herald a reduction in ticket prices in Australia. "If you look back in history, prices of aviation have always gone down and this is a more efficient aircraft," Jackson said. Airbus also confirmed the delivery to Qantas of four smaller A330s to help make up for capacity lost through the delay of the A380s. The A380 will be the largest commercial airliner in service and can carry 555 passengers in a standard three-class layout. Thai Airways said Tuesday it was considering ordering six more A380s after negotiations with Airbus over compensation for the delays. "Airbus has proposed a discount for the purchase of six more A380s. That is one of the options we are considering for the compensation," Thai Airways International president Apinan Sumanaseni told reporters. There had been speculation that Thailand's flag carrier would cancel its existing order of six A380s after delivery delays of two years, but Apinan said it was now thinking about upping its order to 12 after the proposal from Airbus. China Southern Airlines, Malaysia Airlines and Korean Air are also on the regional waiting list for A380s. FedEx Corp, the world's largest express delivery group, in November became the first customer to abandon the plane because of delays. FedEx Express, a unit of FedEx Corp, said it was buying 15 new Boeing 777 freighter planes instead of 10 freighter versions of the A380. The single biggest customer for the superjumbo is Dubai-based Emirates, which has ordered 43 of the planes. In a separate deal signed Wednesday, SIA's regional carrier SilkAir confirmed an order for 11 aircraft from the Airbus family of single-aisle A320 planes, with options for another nine. At list prices the order is worth 1.328 billion US dollars, SilkAir said. Airbus, struggling to overcome production and delivery delays to its superjumbo programme, said in November that its share of global aircraft sales fell to 35-37 percent this year from 45 percent in 2005. US rival Boeing had received 822 orders by mid-November against 597 for Airbus, figures showed.